What would you like next? 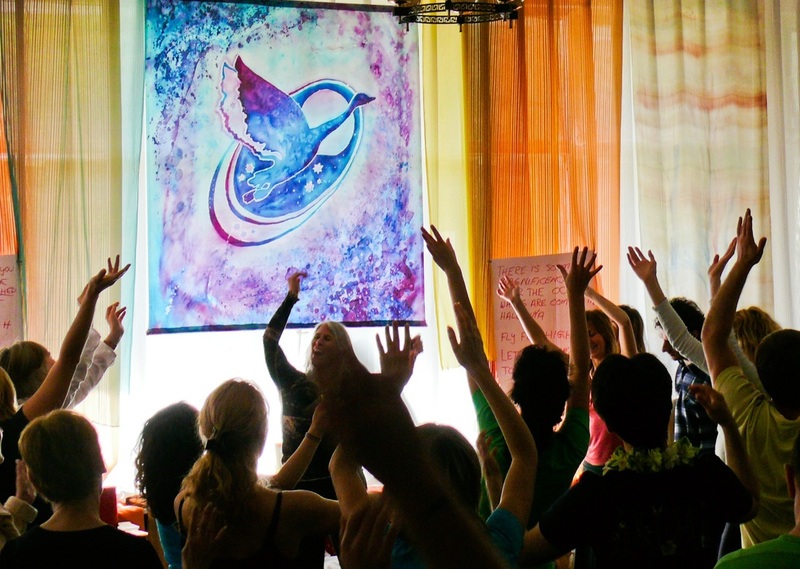 Aneesha offers trainings and workshops in three different flavors: Osho Pulsation, Tantric Pulsation and Energy Celebration. Osho Pulsation is Aneesha's main body of work. Every year close to 20 Osho Pulsation Workshops and Trainings are offered around the world by Aneesha alone. Tantric Pulsation and Energy Celebration - both processes developed in more recent years - are equally important parts of Aneesha's work. Osho Pulsation is a method of self-exploration and personal transformation, created by Aneesha which works through the body and the life energy system, to re-claim our natural aliveness and expressiveness. As a result you will experience a physical state of tremendous aliveness, together with feelings of relaxation and well-being, more love, joy, trust, and laughter. Tantric Pulsation is an experiment in human energy, a re-awakening of the body's capacity to feel and enjoy pleasure in its own flowing vitality and aliveness. Rooted in the work of Wilhelm Reich and in the active meditations of Osho, it is a body/energy approach to Tantra. Tantric Pulsation is an opportunity to bring new sensitivity and awareness - the quality of meditation - to your intimate meetings with others. It is an exploration of the of the energetic attraction, the energetic polarity, between man and woman. Together we learn to meditate within the powerful wave of sexual energy. Tantric 'sutras' from Osho's "Book of Secrets" will form a basis for partner meditations using chakra energy work, breathing, eye contact, touch, inner sensing, and sharing. These playful energetic meetings can bring us a taste of bliss in the spontaneity and let-go of each moment, opening up in deep trust and receptivity to the love we all long to give and receive. Let's open the doors to celebration, moment by moment in everyday life. Together we will play, sing, and share our energies in group processes and rituals which will deepen our trust, and help us to melt and let go into the oceanic oneness that exists eternally and which we can easily fall in tune with. Celebration, and the totality of energy it evokes, is one of Osho's most transformational devices. We "rekindle the fire" of aliveness in the body with breathing, movement, dance, and touch. We will throw out whatever old luggage of misery, guilt, and unworthiness we may be carrying unnecessarily so that we can meet in innocence, fresh and new, the joyful sources inside.